A local Kuskokwim sled dog team prepares to race in December 2017. Mushers and sled dog racing fans alike can mark their calendars for what many competitors call the toughest mid-distance race in Alaska. 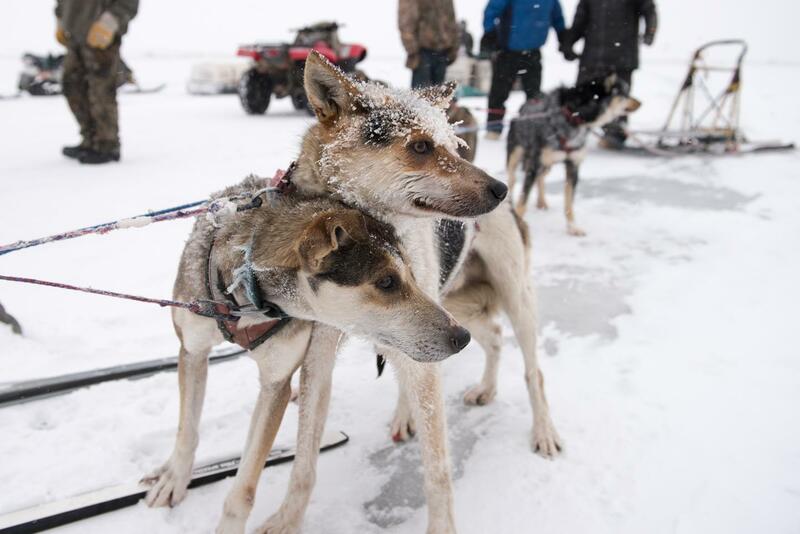 The dates for the 2019 Kuskokwim 300 Sled Dog race have been announced. The K300 will begin Friday, January 18, 2019 and run through Monday, January 21, 2019. Occurring the same weekend, the Bogus Creek 150 will also begin Friday, January 18, 2019; the Akiak Dash will start the next day on Saturday, January 19, 2019. The 2019 K300 marks the premier mid-distance race’s 40th anniversary. Organizers are hoping the race can run its traditional route, which leaves from Bethel, travels up the Kuskokwim River to Aniak, and then loops back. This year, in January 2018, the race rerouted for the first time, running mostly overland and repeating a shortened course twice. This change came after the Kuskokwim’s warmest winter on record created an uncountable series of open holes on the river.